The old world-time is not yet dead, the new just being born. All human world-times have their time in the sun. They arise, flourish, mature, decay and little by little pass into the pages of history. At ground level all that remains are their monumentsin the West the Sphinx, Great Pyramid, Persepolis, Parthenon, Forum. Of our time what will be left? The world-time we live in is so high voltage, mercurial; its power and scale so pervasive that unlike past times the degree to which our lives, purposes and values are being reorganized and reshaped puts in question our very self-identity. 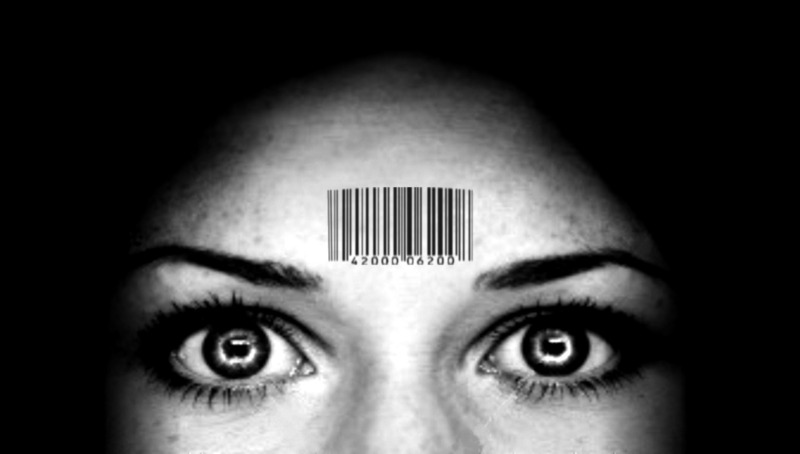 So, yes, what will we leave behinda bar code? Hopefully, much more.. Ours is a time of transition between old and new, so new that this time has yet to be named, but for now let us call it the Technological. This world-time seems so different from what came before that it seems that it is not us, but it is. It is "the Son of Man," something we ourselves have come to create. Man, as Aristotle said, is "the rational animal," and the Technological is the aggregate result of man's rational side developed over eons to become the phenomenal material power we have today, one that not only allows us to dwarf the boundaries of space and time but gives such insight into our biology that we now have the power to create life and even change it. This power can be used for good or ill. 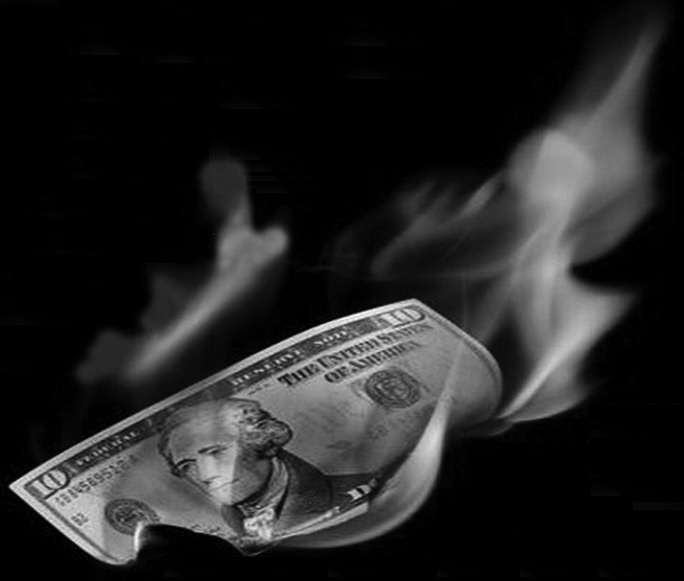 The human use of the powers of technology created the worldwide financial meltdown, and these same powers are being used to create a system even more fundamentally wedded to the Technological. That we have avoided another Great Depression (as the propaganda of the media constantly assures us) is questionable, given the systemic greed, hubris, moral and criminal corruption that produced it, but let us see. . . . In the meantime, in this transition between the old and the new are survivalists of every stripemilitants, arch materialists, religious fundamentalists, New Agersall consumed with getting off the grid, buying hideaways, building compounds, stocking up on nonperishable foodstuffs, gold and platinum, water, and automatic weapons, the capitalists among them hiding their wealth, moving it to foreign shores, tailoring portfolios, and formulating fallback and exit strategies. What impels a sizeable number are not just fears of another financial collapse but also fear of the imminent fracturing of societies and the nations of the world. Inner city urban revolution, race wars, Iran-Israeli-Palestinian conflagration, Pakistani and Indian nuclear warfare, North Korean weirdness, failed states, terrorism, genetic viruses and mass migrations come easily to mind. And ever pumping the adrenalin and demanding donations are our latter-day demagogic evangelists, rabbis and clerics proclaiming it all as God's justifiable curse on a sinful humanity. Meanwhile, our New-Time and Fundamentalist Believers live in the self-certainty of the saved. A dark cornucopia of doomsday predictions sour the good air of the day for those who strangely self-calm themselves by such means. One such prediction, in currency since the time of Bhagawan Rajneesh, is that the western half of the United States will go the way of Plato's Atlantis. Seminars abound with colorful videos and maps showing the exact location of just where tomorrow's haves and have-nots will survive, property-wise; Montana-Colorado being seen as the beachfront property of the future. Meanwhile, astrologers, seeing the starry world's alignment as the "Nostradomus effect," warn of awesome changes in earthly life. Should that fail to occur, then as earlier zodiacal transitions are believed to have caused great societal upheaval, our move from the Age of Pisces to the Age of Aquarius will bring the same. The esoteric Egyptologist and Hermeticist R.A. Schwaller de Lubicz recounts, for example, how the world was thrown into chaos at the end of the epoch of Taurus and again with the end of the Age of Aries. In each case he says what ensued was "a democratization that casts into oblivion the achievements from the time of the kings and repudiates a religious metaphysics; the social disorder, moreover, is often accompanied by climatological and telluric disturbances. We will once again, he thinks, be "chipping flint." 111. De gloria olivae, "concerning the glory of the olive." 112. In persecutione extrema sacrae Romanae Ecclesiae sedebit Petrus Romanus qui pascet oves in multis tribulationibus; quibis transactis civitas septicollis direutur, et Judex tremendus judicabit populum, "In the final persecution of the Holy Roman Church, Roman Peter will sit upon the throne. He will feed his flock amid many tribulations, and when these things have been brought to pass, the city of the seven hills will be destroyed and the terrible Judge will judge the people." If timely doesn't suit us, then more macro is the cyclical theory of time in which mankind passes through four great ages. The ancient Greeks and Romans named these the Golden, Silver, Bronze and Iron Ages. The Golden Age lasted the longest, in some interpretations as long as 25,000 human years. Each of the other ages is successively shorter. The shortest and worst is the Iron Age, or what from the Brahmanic perspective is called the Kaliyuga. It is thought the Kaliyuga has existed for the last 6,000 years. A different length of time is given in Srimad Bhagavata, an ancient sacred Hindu text attributed to the sage Maitreya who puts the duration of the four yugas, or ages, as 4,320,000 human years or 12,000 celestial years. The yuga itself is made up of 10,000 celestial years with 2,000 relating to the transition between yugas. Each yuga is characterized by a special dharma, or 'virtue of conduct,' which is prescribed for men. In the Satyayuga, or Golden Age, the dharma has four limbs: austerity, purity, charity and truthfulness. In the transition periods between each successive yuga, one of the four limbs is dissolved by the rising negation of the virtue. In the Dvaparayuga, or Silver Age, doubt arises and austerity is lost. In the Tretayuga, or Bronze Age, attachment arises and purity is lost. And with the transition to Kaliyuga, or Iron Age, pride arises and charity is lost. In this age, characterized by spiritual blindness, the only remaining virtue is truthfulness. And truthfulness is itself threatened with destruction. In the age of the Kaliyuga it is said that "righteousness, veracity, purity of mind and body, forgiveness, compassion, length of life, bodily strength and keenness of memory will decline. . . . wealth alone will be the criterion of pedigree, morality and merit. . . . might will be the only factor determining righteousness and fairness. . . . trickery alone will be the motive force in business dealings. . . . capability of affording sexual delight will be the only criterion of masculine or feminine excellence. . . . justice will have every chance of being vitiated because of one's inability to gratify those administering it and voluble speech will be the only criterion of scholarship. . . . filling one's belly will be the only end of human pursuit and audacity of speech will be the only criterion of veracity. . . . virtuous deeds will be performed only with the object of gaining fame." There is also to be wide scale famine and "people will perish through drought, excessive cold, storms, scorching sunshine, heavy rain, snowfall and mutual conflict." Peoples' bodies will be smaller and emaciated and wracked by worry and ailments, living to only twenty to thirty years. Plants will be stunted and trees reduced to the size of shrubs, with cows only the size of she-goats and giving as much milk. At the end of the Kaliyuga, the downward impetus of the four ages is halted by eight sudden redresses which are instituted by the earthly incarnation of a divine messenger. The cycle is also opened and closed by ten other divine descents, or Avataras. Rama and Krishna are thought to be the seventh and eighth descents and the ninth is thought to be the Buddha. The tenth descent will close out the cycle and inaugurate the new Golden Age. This will be Kalki, "the rider on the white horse, sword in hand" whose descent is considered in Christian terms to be the second advent of Christ. Riding a fleet horse named Devadutta and wielding eight divine powers, Kalki will "exterminate with His sword tens of millions of robbers wearing the insignia of royalty. The minds of the people will become pure ["because of their enjoying the breezes of wafting the most sacred fragrance of pigments of the Lord"]. The Satyayuga, or Golden Age, will thus be inaugurated and people will return to a virtuous disposition, so says the Bhagavata Purana, Discourse II, "The Evils of Kaliyuga." 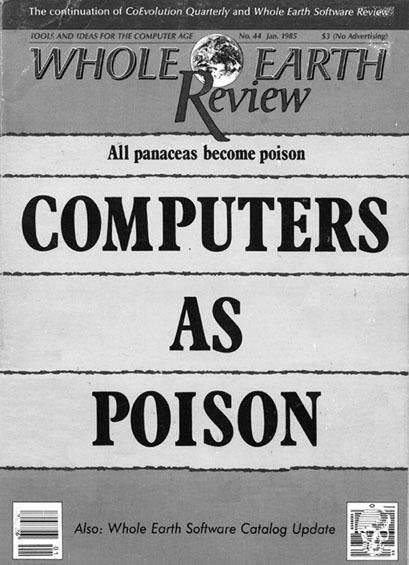 Many publications reflect the archival aspect of finality. A general sense of the need to place everything on recorda sense that seems to be more collective than individualhas brought forth not only a spate of encyclopedias but also a wealth of translations. . . . The motives are largely academic, but some of the classics in question are of great spiritual value, and their present availability is a providential setting for those twentieth century works which may be considered as actively and centrally representative of our day in its best aspect, and which no other age could have produced. René Guénon has written extensively about the cycles through which mankind passes. He notes that, according to tradition, the transition between cycles can only be completed in darkness and that "what characterizes the final phase of a cycle is the exploitation of everything that has been neglected or rejected during the course of the preceding phases." Guénon believes that modern civilization is likely to collapse because of pressure exerted by the "disorderly appetites" it has aroused in the masses who live under the laws of matter, which laws "will inexorably destroy those who believed it possible to manipulate them without themselves rising superior to matter." The West he sees, for all its religious pomp and circumstance, as being fundamentally antireligious and therefore antitradition. Its three motivating beliefs are in humanism, progress and evolution. When these run their course the state will be set for the introduction of the countertradition which will be a complete antithesis and counterfeit of traditional religious values. Sidestepping this whole noxious future was Bo Peep and his Heaven's Gate followers. Had they received more air time before their rendezvous with that passing comet, they could have expanded on their idea of the world's sickness to such a degree that, from their point of view, no sane thinking person could disagree that the only sensible solution was for civilization to be "spaded under" while they looked on from the cosmic comforts of Hale-Bopp. For those staying on, there are a number of datings for doomsday, the most well-known being that of the Mayan calendar, which signals 2012 as this world-time's end. Others speak of 2016 when aliens will invade the planet. Much further out is 2317 when a catastrophic war erupts between the two final religious belief systems, Islam and Tibetan Buddhism, one claiming that God is Everything, the other that there is only No-thing. What is it that fascinates so many people about a doom and gloom future that is of such magnitude there is no way to verify even the smallest part of the yet-to-come? Isn't the deepest reason a need for certainty? The human mind hates uncertainty. Not knowing is to feel insecure, insecurity causes tension, tension causes contraction, contraction causes fear, which produces more tension, which produces more insecurity which produces a greater demand to know . . . in order that the insecurity-tension-contraction-fear is reducedimmediately! But who can be certainabsolutely certainof what will happen in the next minute, let alone a year or five years? The world is just too big, too manifold and mysterious for our little human minds and hearts to know the future with any degree of certainty. The buying of beachfront Montana property, stocking up on gold coins, guns and dried foodstuffs is simply to give in to the tensions uncertainty produces. No matter how much we think we know, the simple fact is the future cannot be known with any certainty. That said, what can be known? When we talk about what can be known we enter into the domain of truth, the existent, and illusion. There is the oft-told story of a man seeing a snake on a path, and coming closer he sees that the snake is in fact a rope. That seems clear. When we see the truth of what is . . . then the illusion disappears. The Tibetans say, however, that both the perception of the rope as being a snake and the rope as rope are both true. That is, each perception is an actual perception so long as it is perceived. Truth as existence and illusion both appear within the mind. What is true then is neither existence nor illusion in itself but that which perceives them bothconsciousness. There is a theory in physics called the All Worlds Theory. It says that out of all the things that might occur in any given moment there is one that does occur. This thing that happens then becomes true on the physical plane. But, postulating that there are more worlds or planes of existence than the physical, the theory says that all the other things that might have happened and did not happen actually do happen but in other worlds. There is a theory, too, of seven dimensions of existence. The first three physical dimensions of height, width and depth we easily perceive. The fourth dimension is the "line" our life makes as we move through timethe choices we make that create our life as we know it. The fifth dimension is the perpetual now of our life as we live it. The sixth dimension is the actualization of possibilities that were not actualized. In the seventh dimension all dimensions are realized. Any given moment contains not an infinite number of possibilities but a finite number. For otherwise, there would be no impossibilitiesall things would be possible, the irrational as well as the rational. The world would be a very screwy place to live, as there would be no logic, no certainty whatsoever. Each moment then contains a limited number of possibilities and an infinite number of impossibilities. Whatever I do or do not do in the given moment determines in the succeeding moment what is possible. Of these possibilities, one is actualized. This, in turn, determines the next succeeding moment, and so on. The line in time of these moments and what they actualizethe line of actualization of one's lifemakes the fourth dimension. If we fail to be gripped by any of the abovewhat are we left with? What we always have: the Immediate. What is (in terms of this discussion) is our Technological world-time and the worldwide problems our use of it has produced. Technology got us into this and it seems likely that technology consciously used will get us out of it, more or less. Consciously used. This is key. For without consciousnessthe word is used in its spiritual senseand the understanding and conscience which it evokes, then it will be just a replay of past barbarisms. This means that enough people need to sufficiently awaken to what is real in themselves that we inaugurate a new level of consciousness commensurate with our world-time. This self-initiation into higher degrees of the reason of understanding (not of knowledge, but this, of course, has its secondary place) can only rightly begin by first understanding more explicitly what we face. There are many places to begin a written comprehension, but Romano Guardini's The End of the Modern World, published more than a half-century ago, serves adequately. His focus is on human work. The growth of mankind's intellectual and scientific capabilities, he points out, make it possible for us to engage in work we either do not, or cannot, experience. Digital technology allows abstraction upon abstraction to be so manipulated, as are the experiments of modern physics, that they are all devoid of any genuine sensory experience. Digital impressions differ radically from analogue impressions. Digital impressions are received by the left hemisphere of the brain; analogue by the right. We have moved from an analogue way of perception to a digital. As we digitize human life, we become more and more left brained, that is, more conceptual, analytical, verbal. "The rise of technology," Guardini declared, "is creating a radically different sociological type and attitude." His term for this new type he calls "the mass man," the man who is "fashioned according to the law of standardization, a law dictated by the functional nature of the machine." The most highly developed of the mass man, he believes, are "not merely conscious of the influence of the machine; they deliberately imitate it, building its standards and rhythms into their own ethos." From out of this imitation will come a new culture; one which will "be incomparably more harsh and more intense . . . a single fact, we must emphasize, will stamp the new culture: danger." Guardini believes that "the individual will either disappear into the collective mass as an empty means for a mechanical functionthis is the terrible danger which lies brooding over history todayor he will appear to accept the standardized pattern of social life, adjusting to his loss of liberty both for free decision and for open growth as a person. Indeed that liberty is no longer his even to renounce. If he takes the latter course, he will do so for the sake of consolidating his own inner life, of conservingat least for a timethe core of his spiritual existence." 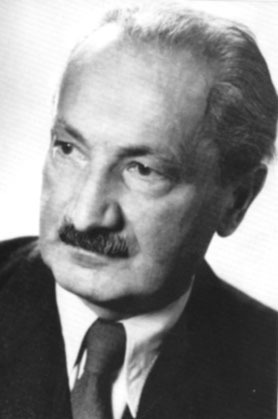 Martin Heidegger, the great German philosopher of ontology, or being, gave a great deal of thought to technology. His interest was in discovering the essence of technology. He understood that technology was not neutral. In his essay "The Question of Technology," taken from part of a lecture series given in the early 1940s, Heidegger wrote: "Everywhere we remain unfree and chained to technology, whether men passionately affirm or deny it. But we are delivered over to it in the worst possible way when we regard it as something neutral." He makes a distinction between the technological and technology. The technological is the apparatus of technology, such as the computer, software, networking, fiber optics and the Internet. The technological is the surface manifestation. That is, technology orders our lives, creating its own set of values and attitudes. Though Heidegger believes its essence is mysterious, he held that "Technology is not demonic." What he saw was that technology was enframing us. It did so in the sense of a "gathering together" of the totality of human life and the resources of nature. The essence of technology, Heidegger said, lies in such enframing. Technology uses physics and other exact physical sciences to effect this enframing. Man is challenged publicly and privately, everywhere, by this technological enframing. The greatest danger for man in being thus enframed is that the 'truths' so revealed to man through this enframing will be taken for the highest truths. "The rule of enframing threatens man with the possibility," stated Heidegger, "that it could be denied to him to enter into a more original revealing and hence to experience the call of a more primal truth." Thus where enframing reigns, there is danger in the highest sense. But in this danger is also "the saving power" in that the enframing of technology cannot totally stamp out the light of true revealing. The saving power "lets man see and enter into the highest dignity of his essence." And it is in the extreme danger posed by such technological enframing that what Heidegger refers to as "the innermost indestructible belongingness of man" to primordial truth may come to light. Provided, that is, that "we, for our part, begin to pay heed to the essence of technology." In paying heed to how technology enframes us, orders and regulates our lives, gives it a standard of values and attitudes. and so forth, we come to real questioning. Heidegger does not make clear exactly what he means by questioning, but it would seem to be that each of us in the act of questioning stands apart, creates a separation, breaks the hypnotic effect of technology's persuasiveness. We purposely create a subject-object relationship toward enframing. We become the observer and enframing the observed. In this way we challenge the essence of technology to reveal itself. In this questioning we must strive to be impartial, for any and all previous bias limits and distorts the questioning. "Questioning," says Heidegger, "is the piety of thought." But what is questioning? By the act of questioning we see that we do stand in a different relationship to that which we question. The object of our questioning appears as a content of our being and consciousness; our attention is not consumed by it. That is, experiencing our feelings, senses and thoughts, there is also an inner separation so that we are them and are not them at the same time. The embodied mind should act like a sword of discrimination. It must be stainless, objective, without bias, impartial. But in observing its operation, how it comes to decisions, we see that the sword is not true. It must be remelted and honed anew. But how to do that? How to stay separate from our thoughts? Whatever we make of all this, we have no choice but to strive to consciously live in the world-time we inhabit. Detailed in Spiritual Survival in a Radically Changing World-Time is the esoteric and ancient process I and many others have experienced which can develop the degree of consciousness, understanding and conscience this world-time demands, if we are really to use technology for our and the world's betterment. So developed, each of us stands by the grace of God individually and together on the cliff edge of the certainty of uncertainty . . . knowing, receiving, withstanding and absorbing the impressions of the Immediate . . . and, like Michelangelo's David perceiving Goliath, experiencing the potency of a somatic-emotional-intellectual connection to one's actuality that allows a fluidity and flexibility for an adequate response to whatever arises. It is a self-reason that is more than knowledge. The demand is for the being of understanding . . . the understanding of one's place and responsibility in and to the world whatever the world-time . . . the conscious willing to live the certainty of uncertainty. 1. A democratization that casts into oblivion. R.A. Schwaller de Lubicz, Sacred Science (Rochester, VT: Inner Traditions, 1988), pp. 117–19. 2. The end of Christianity. Martin Lings, "St. Malachy's Prophecy of the Popes," Studies in Comparative Religion (London: Perennial Books Ltd., 1985), pp. 148–53. 3. In the final persecution. Rama P. Coomaraswamy, The Destruction of the Christian Tradition (London: Perennial Books, Ltd., 1981). 4. Yugas. Stephen R. Hill, The Roots of European Thought (London: Duckworth & Co. Ltd., 1992), pp. 55–56. 5. The rider on the white horse. Martin Lings, The Eleventh Hour (London: Quinta Essentia, 1987), p. 80. 6. Archival aspect of finality. Martin Lings, Ancient Beliefs and Superstitutions (London: Perennial Books, 1965), p. 75. 7. The final phase of a cycle. René Guénon, Crisis in the Modern World (London: Luzac and Co., 1975), p. 13. See also his masterwork, Signs of the Times and the Reign of Quantity. 8. Disorderly appetities. Guénon, p. 93. 9. The rise of technology. Romano Guardini, The End of the Modern World, DC World (Washington, DC: ISI Books, 1956). 10.Everywhere we remain unfree and chained to technology. Martin Heidegger, Basic Writings (New York: Harper & Row, 1977), "The Question of Technology," pp. 283–317.